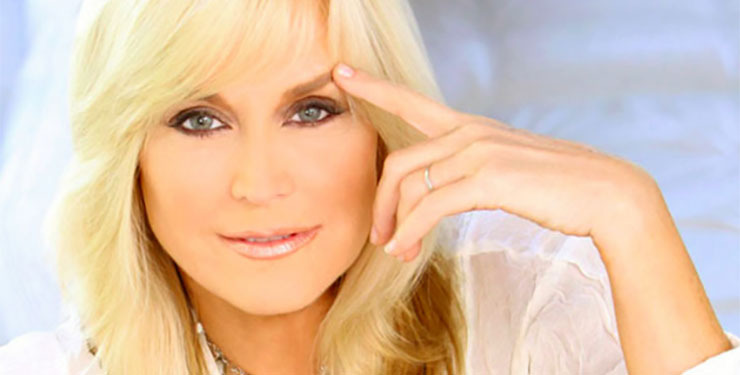 Soap vet Catherine Hickland posted to Facebook a moving tribute to her late sister-in-law and mother-in-law, Hollywood icons Carrie Fisher and Debbie Reynolds. In 2012, Hickland married Todd Fisher, son of the late Hollywood greats Eddie Fisher and Debbie Reynolds. His sister was, of course, Carrie Fisher, the legendary actor and writer. Last month Fisher died of cardiac arrest on December 27th. The next day her mother had a stroke and died. The two shared a tumultuous but always close and loving relationship. “Losing one was enough of a shock. Losing them both at once was unimaginable. Never in a million years did we see that coming,” she wrote. Hickland says she has been mostly at home in mourning since her family members’ deaths. Only in the last couple days did she venture back out into the world, describing her experience of it as a changed, surreal place. See Hickland’s full Facebook post below. Hickland wasn’t just married into Hollywood stardom, she is also an icon in the soap world herself. She has appeared on “Bold and the Beautiful,” “The City,” “Loving,” “One Life to Live,” and “Capitol.” She has numerous other television and stage credits as well and an album of Broadway show tunes. The Renaissance woman serves as CEO to a line of cosmetics called Cat Cosmetics. She was previously married to Michael E. Knight (Tad Martin, “All My Children,” Simon Neville, “The Young and the Restless”) and David Hasshelhoff.